The Law Offices of Miller and Hall, located at 138 East Water Street, Lock Haven, represents individuals and businesses throughout Centre, Clinton, Clearfield, Lycoming and surrounding Counties. Attorney Stuart L. Hall, a native of Moshannon, lives in Woolrich with is wife Stephanie (Cingle) Hall and their sons, Wyatt (14) and Merritt (11). In addition to being in Centre County for the representation of clients, Stuart and his sons often spend their weekends in Moshannon hunting, fishing or riding dirt bikes. Stuart’s law partner, Craig P. Miller, a native of Renovo, resides in Lock Haven with his wife Diane. Craig and Diane have four sons, ages 16 to 25. Stuart and Craig regularly assist their clients in real estate matters by reviewing title searches and providing title insurance for the purchase of homes, camps, vacant lands, or refinancing. 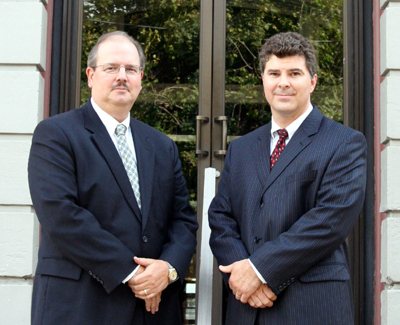 In addition to their real estate practice, Stuart and Craig are trial attorneys who have successfully represented their clients in jury trials in numerous counties. They regularly represent clients who have been injured in automobile crashes, victims of dog bites or victims of other intentional or negligent conduct. If you’re considering purchasing a home, or are in need of legal representation or have a question for an attorney, contact Stuart or Craig at 1-800-974-1901 or e-mail them at stuarthall@adelphia.net.